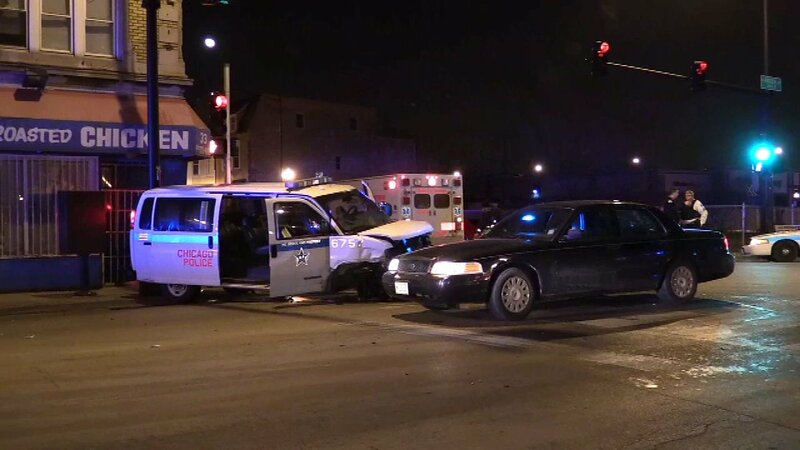 CHICAGO (WLS) -- Two Chicago police officers are out of the hospital after they say a driver slammed into their police van in the city's East Garfield Park neighborhood. The crash happened while officers were sitting at a red light at the intersection of Kedzie and Warren Boulevard Friday night. Police say two people got out of the car and ran away afterwards.